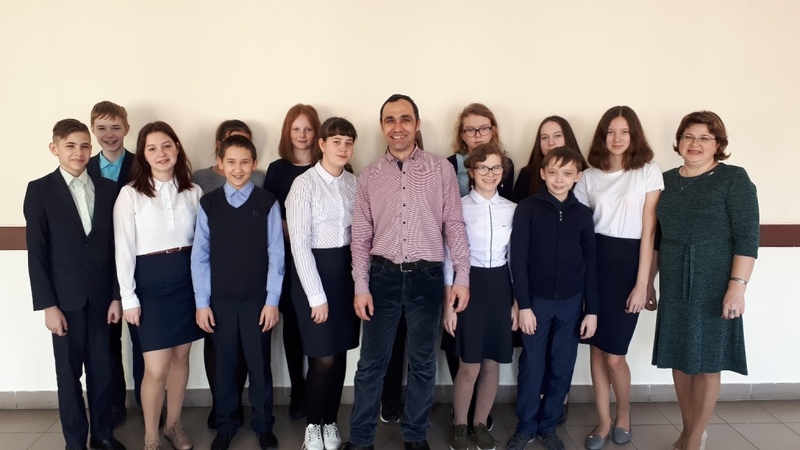 February 11, 2019 head of the Department of Museum and educational activities of the Bulgarian Museum-reserve Vagapov R. Z. held an interactive lesson “Peter the great-the Great Bulgarian” for students 7 “a” class MBOU “Bulgarian school №2”. Peter Alekseevich is considered a great reformer, Converter. The result of his work was a new form of government – an absolute monarchy and the creation of a noble-bureaucracy, which radically changed the course of Russian history. Military and judicial reforms have allowed Russia to become on an equal footing with the developed countries of Europe, led to a significant increase in the country’s territory. Cities were named after The great Emperor after his death. Monuments to Peter I were erected not only in Russia, but also in many European countries. At the lesson, the children learned that it was the ancient Bolgar that influenced the appearance of the first in the history of Russia decree on the repair and preservation of architectural monuments, signed by Peter I on June 2, 1722. The Bulgarian Museum-reserve is the center of tourism and economy development not only of the Spassky municipal district and Tatarstan and Russia as a whole. Great Bolgar became the center of attraction and it has contributed and the king-Emperor Peter I. Today our main task, building on a great legacy, to promote and preserve our ancient city.